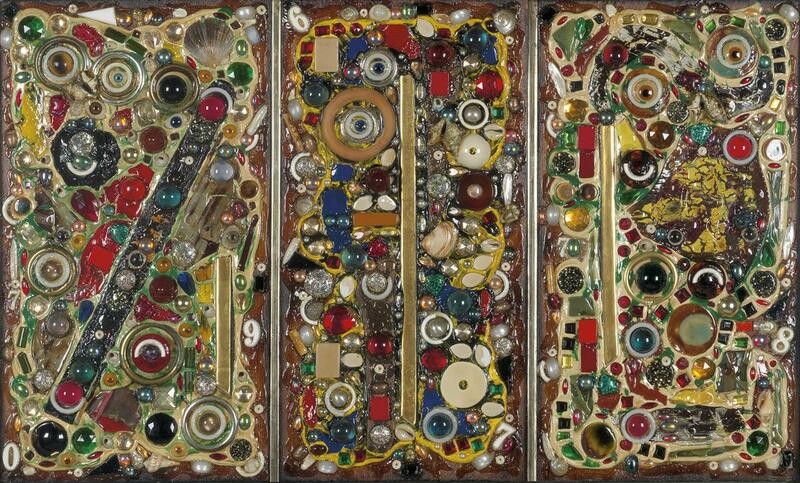 Is there anything more thrilling than discovering artwork in your attic? Lot 18: W.H. Johnson, Church by Lake II, woodcut, circa 1935-38. Estimate $7,000 to $10,000. Four previously unknown woodblock prints by William H. Johnson will be offered in our October 6 sale of African American Fine Art after being found in a suitcase in a family attic in Denmark. They currently belong to Johanna Voll, granddaughter of German Expressionist Christoph Voll, as well as a descendent of Johnson’s wife, Danish artist Holcha Krake. Lot 16: W.H. Johnson, Night Birds, woodcut, circa 1935. Estimate $20,000 to $30,000. 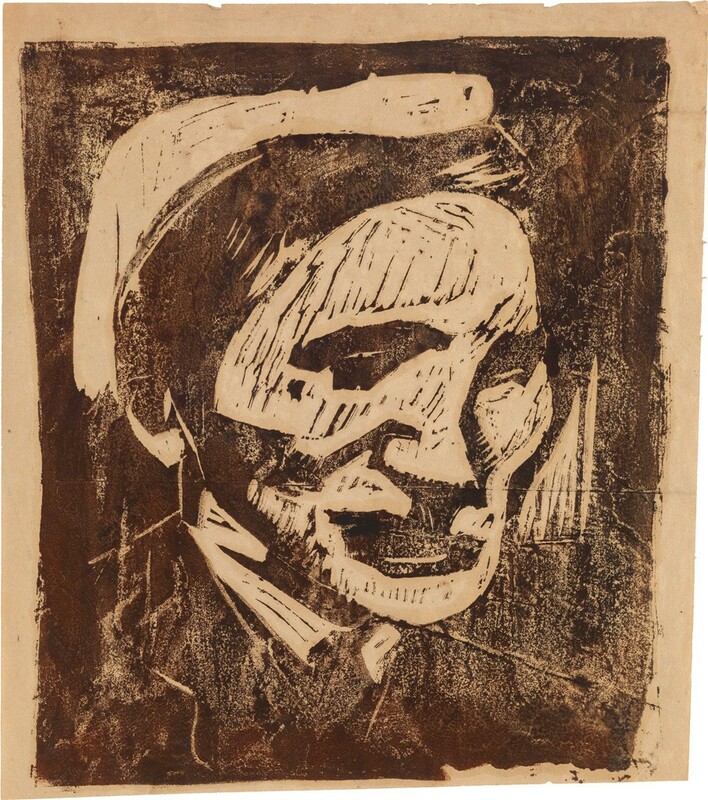 The very scarce prints, two portraits and two landscapes, are artist proofs executed in Scandinavia in the early 1930s, when the artist and Holcha Krake first moved to the region. Johnson was influenced by the woodcuts of Edvard Munch; the two met in Oslo in the spring of 1935. 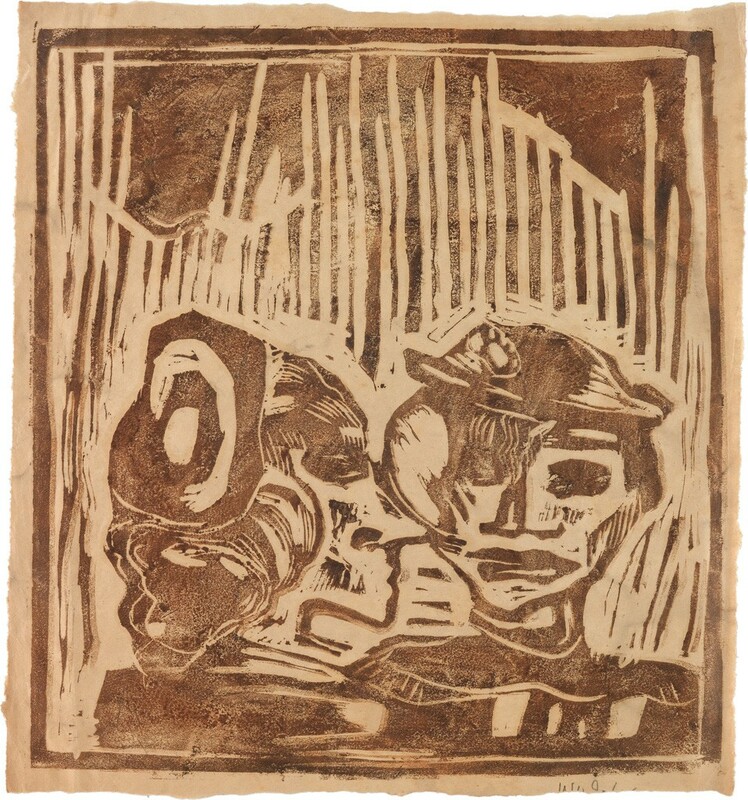 These prints were left with his wife’s family when the couple fled to New York in 1938 under the pressure of the growing Nazi party and the witch-hunt for “degenerate” art and artists. Lot 17: W.H. 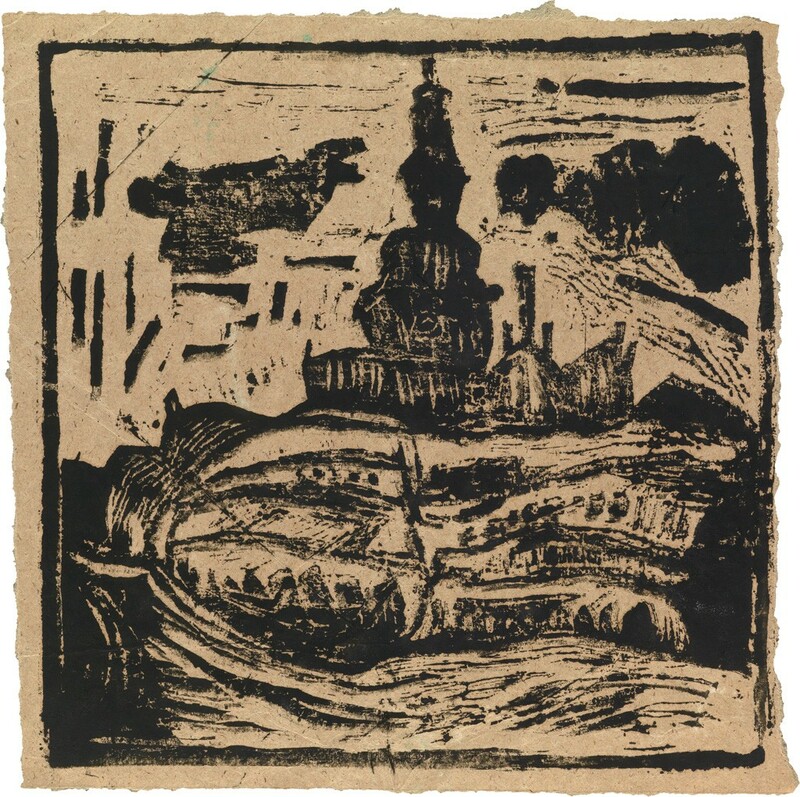 Johnson, Untitled (Bazaar behind Oslo Domkirke), woodcut, circa 1935. We couldn’t find another impression of Untitled (Bazaar behind Oslo Domkirke) (above), though Johnson did make a similar oil painting titled Oslo Domkirke (Behind the Bazaar), circa 1935, currently in the collection of the Smithsonian American Art Museum. Johnson was an exceptional artist in the 1930s—an African-American who embraced modern art and worked in France, North Africa and Scandinavia. His woodcuts are very rare: he printed small numbers of each proof. The uneven inking indicated they were most likely printed by hand. He was not known to have used a press. 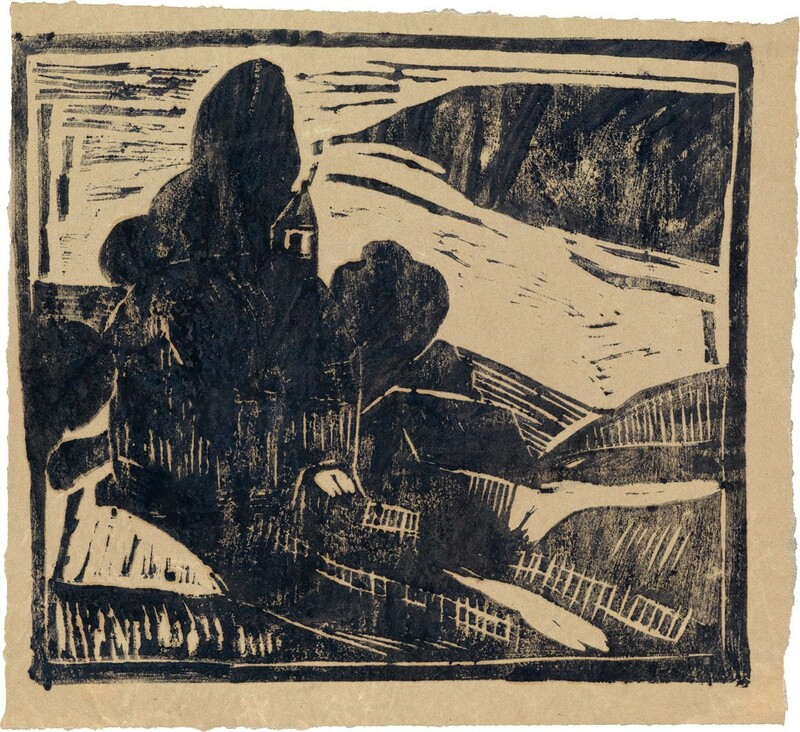 Only two of Johnson’s woodcuts have come to auction in recent years, and others are in the collections of the Smithsonian and the Philadelphia Museum of Art. Lot 15: W.H. Johnson, Holcha Krake, woodcut, circa 1930-35. Estimate $12,000 to $18,000. For more discoveries, visit the full catalogue.